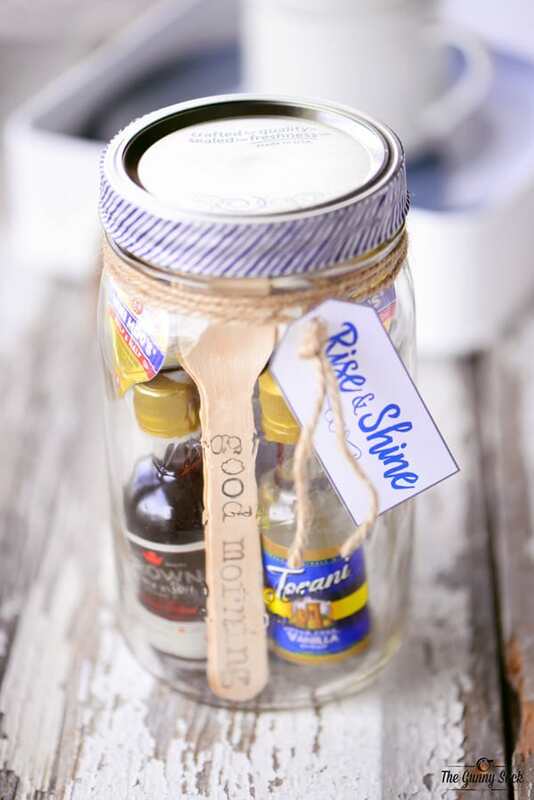 Give the gift of a good morning with a Rise and Shine mason jar gift filled with everything to make a delicious breakfast for two. 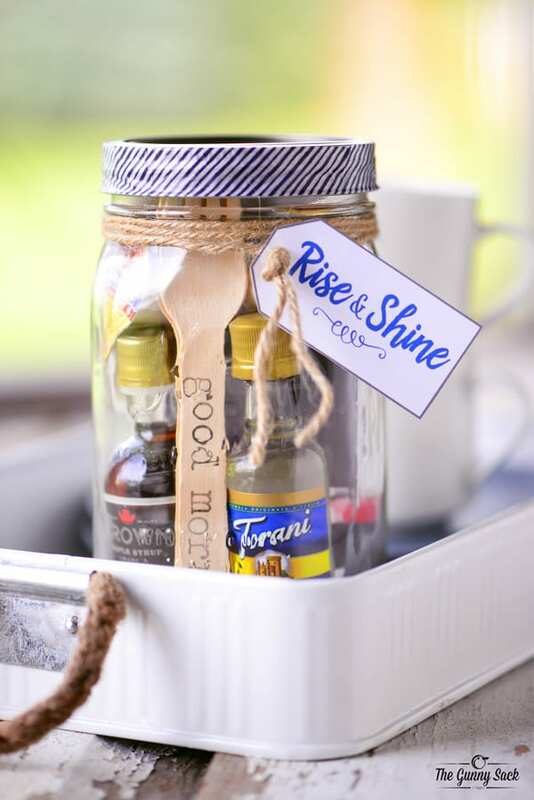 This Rise and Shine mason jar gift would be the perfect addition to a romantic weekend for a couple. 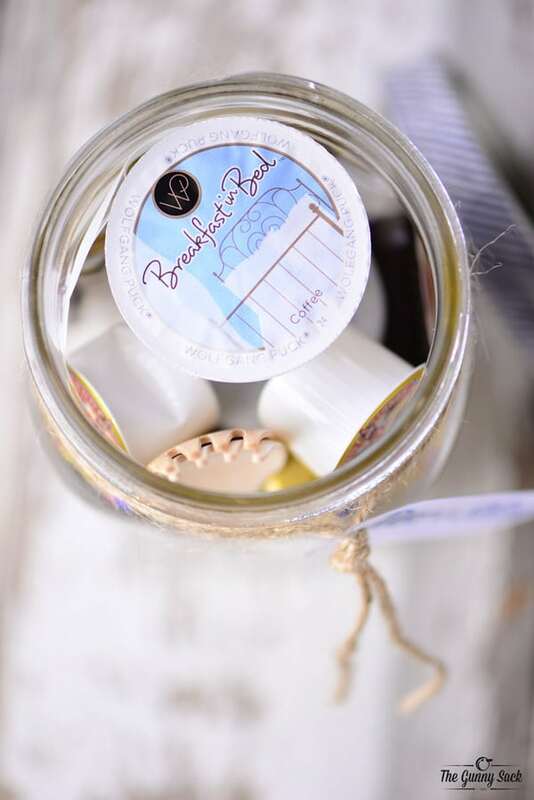 But this gift in a jar can also be given to teachers, friends, or neighbors because everyone can use a reason to smile in the morning! 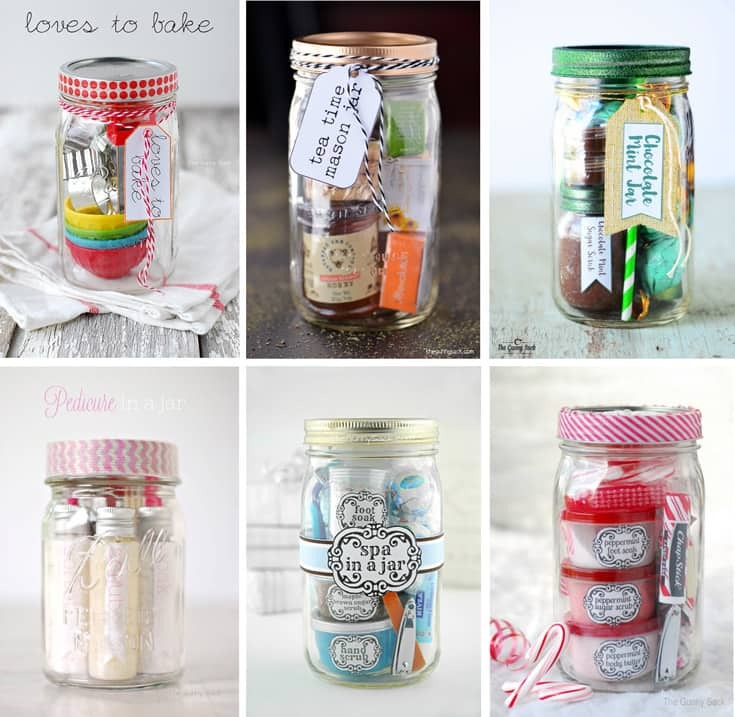 Note: Many of these small, sample-sized food items, mason jar zipper bags, and wooden spoons might be available at World Market, especially during the holidays, so check there if you have one in your area. 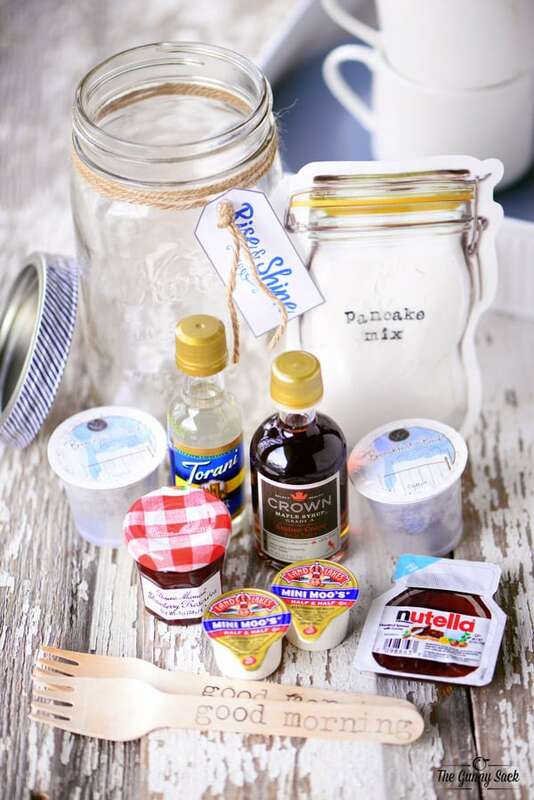 I used alphabet stamps to label the small mason jar zipper bag “pancake mix” and the wooden spoons “good morning”. I bought the larger set of alphabet stamps from the dollar spot at Target and the mini set of stamps from the dollar bins at Michaels but I don’t think they are available any longer. You can also find wooden alphabet stamps online. You can use a Staz On ink pad which has permanent ink that stays on any surface. Or you can attempt to use a permanent marker to ink the stamps and then quickly stamp it before the ink dries. Another option would be to use handwritten letters. I put 1/2 cup of pancake mix that can be made by only adding water. 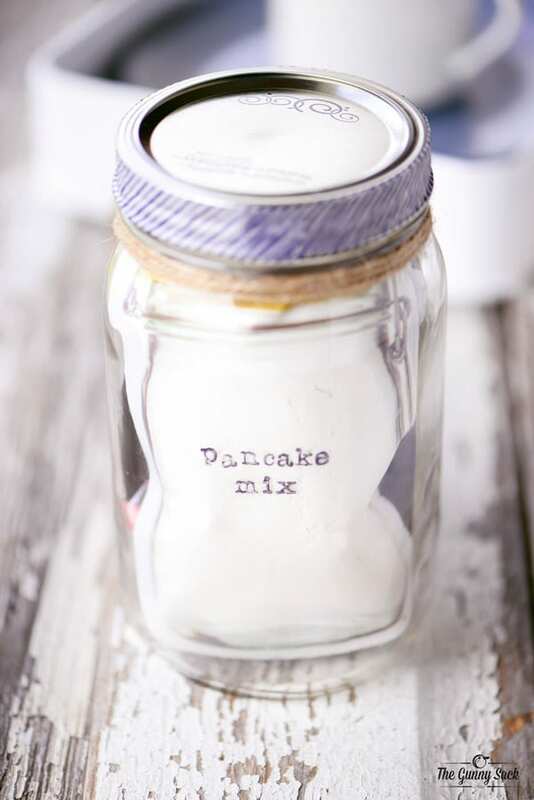 Then, I typed up the instructions for making the pancakes, printed them out and glued them to the mason jar zipper bag with Mod Podge. After sealing the zipper bag, I fitted it along the side of the mason jar. Then, I added all of the other items, rearranging things until everything fit. I tried to make most of the items visible through the mason jar so that the recipient knows what is in the jar at a glance. 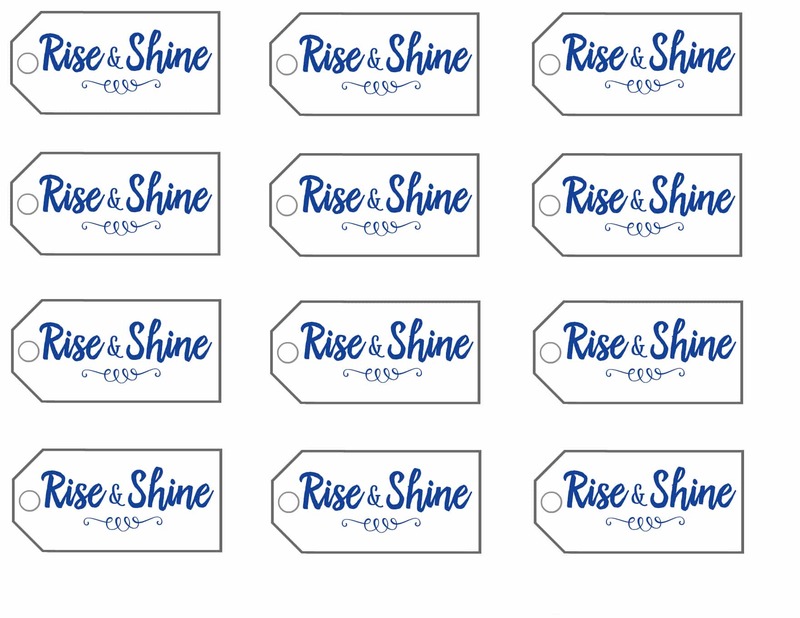 This Rise and Shine mason jar could be given as an anniversary gift, Christmas gift or a teacher gift. 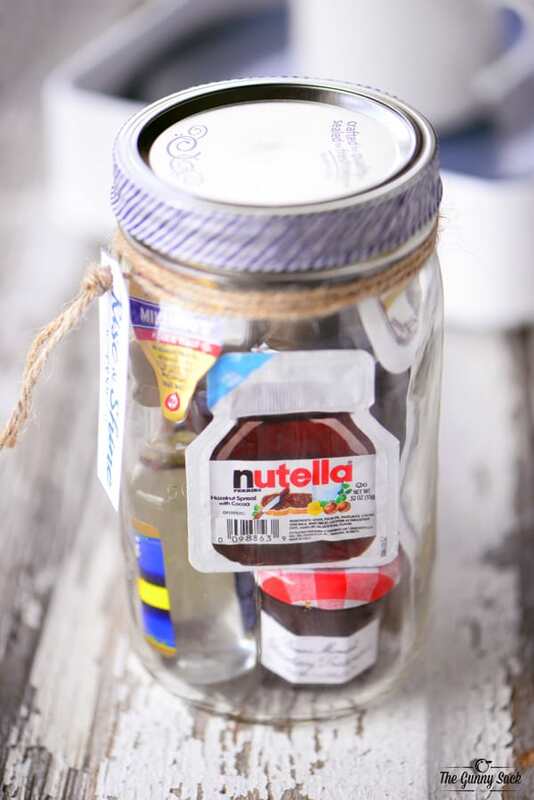 Everyone can use a reason to smile in the morning and a gift in a jar like this would be a fun way to start the day! 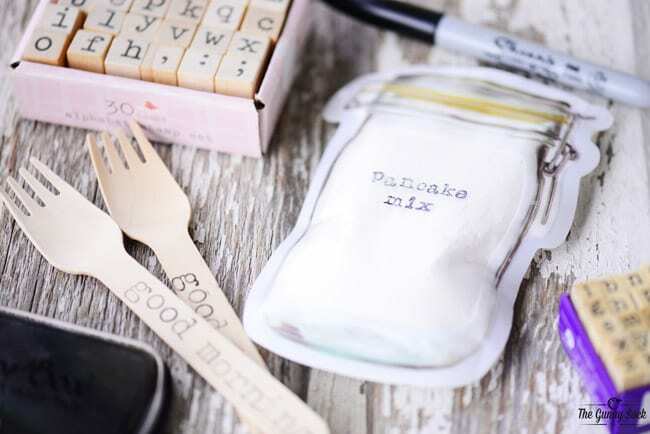 So cute, what a clever way to package the pancake mix! Thanks Jenna! I saw those mason jar zipper bags and just had to buy them! What a terrific idea !! I love all of these gift ideas! 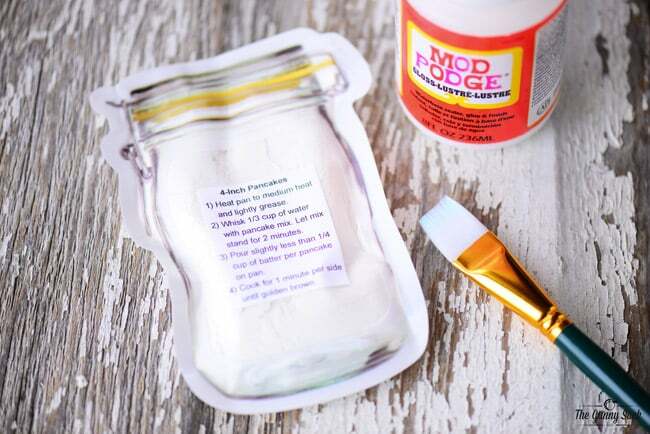 Never thought of putting these things in a mason jar. Love all of these! What great teacher gifts! They would be perfect to have on hand for unexpected holiday visitors!